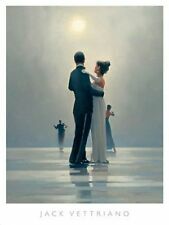 Dance Me to the End of Love - Jack Vettriano - Framed Print Poster - 30" x 36"
The Print is 18" wide x 24" high and The Frame is 30" wide x 36" high. It is in good condition. Please see the attached pictures to determine the condition. Thanks for looking! The paper size is approx 15.75x19.75. Jack Vettriano Sweet Bird Of Youth. Good Luck! Edition Size: Open. The print has words printed on the bottom of the print. I am not sure if the number 21376 is the number of the print or not. Good Luck! Edition Size: Open. "Waltzers". Picture is in good condition. Trim of print shows remnants of double sided tape. Jack Vettriano Elegy For A Dead Admiral. Good Luck! Edition Size: Open. Jack Vettriano In Thoughts Of You. Good Luck! Edition Size: Open. Jack Vettriano The Missing Man II. Good Luck! Edition Size: Open. Jack Vettriano Pendine Beach. Good Luck! Edition Size: Open. 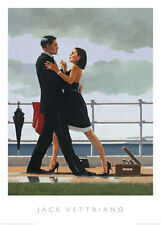 Jack Vettriano Rumba In Black. Good Luck! Edition Size: Open. Jack Vettriano Young Hearts. Good Luck! Edition Size: Open. Condition: New. Jack Vettriano Pendine Beach NO LONGER IN PRINT - LAST ONE!! 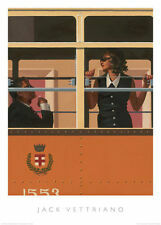 By Jack Vettriano. Good Luck! Jack Vettriano Sweet Bird Of Youth (study). Good Luck! Edition Size: Open. "MAD DOGS". JACK VITTRIANO. TRIPPLE MATTED. Jack Vettriano Waltzers. Good Luck! Edition Size: Open. Jack Vettriano The Billy Boys. Good Luck! Edition Size: Open.